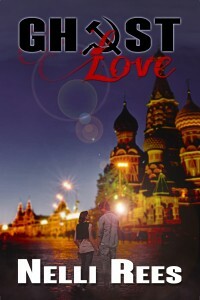 Ghost Love by Nelli Rees, now at Phaze.com in eBook and Print! TRUE LOVE CONQUERS ALL... EVEN DEATH. MOSCOW 1989. As the Soviet Union crumbles a young, naïve and idealistic Russian girl, Tonia Voronina, meets and falls in love with an English boy, Peter Monroe. Theirs is a forbidden romance: forbidden by the Soviet authorities and by Peter’s family. ENGLAND, PRESENT DAY. Recently divorced Toni Graham comes to live in ‘The Nook’ and there discovers that Peter had always loved her and tried to protect her from the jealous and vindictive Maintree clan. TWO INTERTWINED STORIES OF A LOVE LOST AND FOUND … WITH A FLAVORING OF THE SUPERNATURAL. Nelli Rees was born in Moscow, Russia where she trained as a linguist and a musician. She met her future husband Englishman Rod and together they worked and traveled around Russia, finally coming to live in England in 1998. Nelli has had several successful careers, among them recording a critically acclaimed nu-jazz album “Jazz Noir,” becoming an award-winning jewelry maker, writing a book “Glass Bead Jewelry Projects,” and doing all this whilst being a mother and a wife. “Ghost Love” is Nelli’s first novel and draws heavily on her own experiences as a young woman in Soviet Russia and the obstacles she and her husband-to-be faced during those difficult times. Nelli is desperately trying to find time in her busy life to finish her next book.